As guest curator for the tenth anniversary edition of this series, I emphasized the dichotomy between materiality and immateriality. Digital technology is increasingly important in contemporary life, propagating a feeling that we are increasingly engaging with design (and with one another) through images and data. Yet we are all still dependent upon extraction from the material world. The sourcing of raw substances is the often-unacknowledged foundation of all of our design experiences – including, of course, on our digital devices. 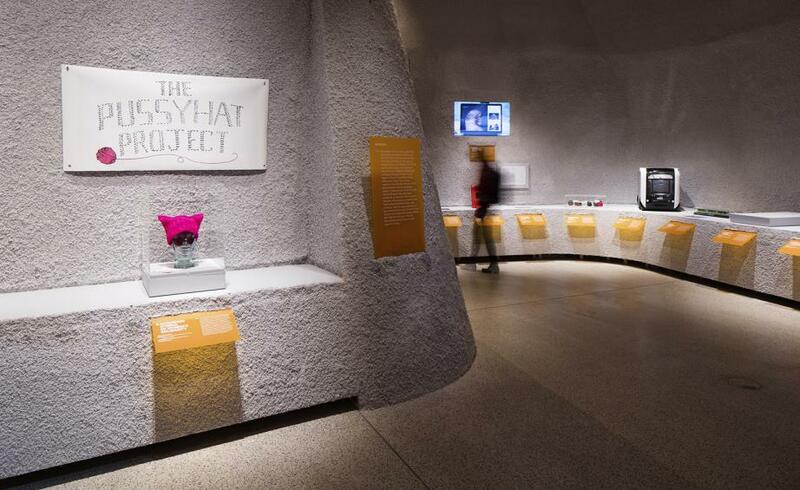 The exhibition signaled this through its design, by Carmody Groarke and Micha Weidmann. The show also included a retrospective element – a film entitled “Designs of the Century (So Far)”– which introduced a further tension between the speculative judgments that we necessarily make about new designs, and the way that we assess the field in hindsight.